The latest Commercial Pulse data shows that saw fleet and lease average values were up from £6,754 in June, to £6,779 in July. Values have been relatively stable over the past three months following on from the highpoint recorded in April. Retained value against MRP (Manufacturer Recommended Price) improved marginally to 35.15%. Year-on-year, values were up by £499 (7.9%), with performance against MRP up by one percentage point. Both age and mileage have dropped over the year, with average mileage falling by almost exactly 10,000 miles. 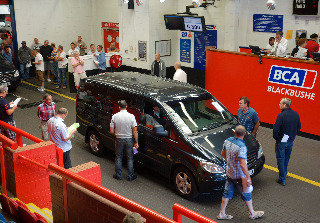 Meanwhile the headline average value of a used LCV sold at BCA rose for the second month running, climbing by just £23 to £5,931 in July, but up by £387 or 6.9% compared to a year ago.